Fraud. Despite the fact that more than half of all residents in the state of Utah claim to be members of The Church of Jesus Christ of Latter-day Saints (LDS or Mormon), there are a good number of people who, for many years, have stolen the hard-earned money of local residents. These white-collar thieves take others’ money without having to brandish a pistol or knife. Advance Fee Schemes. Investors are convinced to pay an advance fee (often explained as needed to pay taxes, custom fees, legal fees or other related expenses) that will be used by a promoter or company to release or access a much larger account or pot of money. Unsecured Promissory Notes. In an environment of low interest rates, the promise of high interest-bearing promissory notes may be tempting to investors, especially seniors and others living on a fixed income. Real Estate Financing Investments. Investors should continue to be wary of opportunities to invest in real estate development projects that have been unable to secure more traditional types of financing. The Division of Securities is seeing many more cases of fraud involving these types of real estate investments. a fraud designed to give investors the impression that an investment is profitable. In a Ponzi scheme the fraudster pays early investors with money that is thought to be profits from the business, but is actually money from their own principal investment dollars or the pooled investment dollars of subsequent investors. As new investment dollars are paid out to previous investors, the fraudster seeks more investors to fund the “payments” being made. Since Ponzi schemes need an ever-increasing supply of new investors to maintain payments to prior investors (and possibly support the fraudster’s life-style), all Ponzi schemes ultimately collapse as the fraudster will eventually fail to find enough new investors to cover the payments to all prior investors. Andrew Dean Kelley: “A Draper man, 41, who is facing fraud charges and a lawsuit by federal regulators admitted to one of his alleged victims who is out $2 million that he is ‘delusional’ and ‘a compulsive liar.’ ‘I am all those terrible things,’ Andrew Dean Kelley said, according to court documents. ‘I have turned into a monster.’. . . The SEC lawsuit filed this week in U.S. District Court alleges Kelley and Paul H. Shumway, 47, Lehi, took at least $3.1 million from investors under false pretenses beginning in about September of 2014. Instead of earning returns in futures trading of up to 300 percent in a year as Kelley claimed, Blackbird Capital Partners LLC was allegedly operated as a Ponzi scheme and monies also went for personal and business expenses. . . . Bank and trading records show that Kelley used monies from new investors to pay current investors, the sign of a Ponzi scheme, and they also reveal ‘substantial trading loses’ . . . According to the criminal complaint, Kelley told potential investors that he had developed a sophisticated software program for trading futures that generated a 300 percent return the first year he used it. He also said that his trading fund had only two losing months in three years and he was a family man and faithful member of the LDS Church. But, according to the SEC complaint, Kelley actually made no trades prior to June of 2016 and then suffered substantial losses for the four months in which he did trade. Kelley told an investor he had lost $6 million” (“Draper Man Facing Fraud Allegations,” Salt Lake Tribune, December 4, 2016, p. B6). According to the Salt Lake Tribune of April 20, 2017, Kelley agreed to settle the case without admitting or denying the allegations. He was sentenced on October 2, 2017 by US. District Judge Dee Benson to seven years in prison, followed by three years of supervised release. He was also ordered to pay close to $8 million in restitution, even though prosecutors said that 84 investors lost more than $12 million. The judge removed some victims from the restitution amount. Curtis DeYoung: “Some of the victims of Curtis DeYoung told a federal judge on Tuesday that 10 years in prison wasn’t enough for the Draper businessman who stole nearly $25 million from about 5,400 retirement accounts. But U.S. District Judge David Nuffer stuck to a plea bargain agreement and imposed that sentence on DeYoung, who had pleaded guilty to two of 18 charges connected with his theft of cash held in Individual Retirement Accounts administered by his American Pension Services. . . .’He helped himself to our life savings,’ said Harry Segura, who at one point during his comments to the court, turned to DeYoung and said, ‘Thanks, Curtis, good job.’ Segura asked for a sentence of one day in prison for each of the victims, which he said worked out to about 15½ years total. Segura called the 10­year sentence ‘weak and lazy.’ Another victim, Patricia Huff of Lehi, said she had to sell property to come up with $6,900 to help shoulder her portion of the loss caused by DeYoung. That was because a federal judge in a civil lawsuit against DeYoung approved a plan that apportioned the losses among all account holders, including those like Huff who didn’t have cash in their accounts. ‘I feel like a victim, a victim of the court, I’m sorry to say, as well as Mr. DeYoung,’ Huff told Nuffer. . . .’It’s game over for him,’ Huber said. DeYoung used the money for high­ risk investments, some of which were fraudulent, made loans to friends that were not repaid, and gave himself and his then ­wife, Michelle, high yearly salaries. In sentencing DeYoung, Nuffer noted the ‘epidemic of this kind of crime in this community … that has to do with the culture of this area.’ ‘There seems to be an inexhaustible supply of gullible victims and predators,’ Nuffer said, urging victims in the DeYoung case to advise others to take care in where they invest. DeYoung took the monies over a decade and then covered his tracks by making a false bookkeeping entry and sending out fraudulent statements to account holders. . . .because of DeYoung’s age and conviction, it is unlikely he will be able to pay back even a small percentage” (“Victims upset Draper man gets only 10 years in prison for stealing $25 million in retirement funds,” Salt Lake Tribune, November 23, 2016). Lori Ann Anderson: “A Logan woman will spend two to 30 years in prison after she misled investors and defrauded them of more than $1.7 million. Lori Ann Anderson, 54, pleaded guilty to two counts of securities fraud and one count of pattern of unlawful activity, all second-degree felonies, on January 23, according to a news release from the Utah attorney general’s office. ‘Anderson’s crime is especially egregious, as she has been previously convicted of fraud and she continued to prey on neighbors and friends,’ said Eric Barnhart, FBI Salt Lake City special agent in charge, in the release. Anderson spent time in prison in 1992 after defrauding insurance-policy holders of $140,000, the news release says. Keith Woodwell, director of the Utah Division of Securities, described the case as a ‘grim repeat performance, deluding unsuspecting victims into handing over their trust and money in a church environment.’ He said in the news release that affinity fraud is the ‘most damaging white-collar crime, where fraudsters not only steal the nest eggs of Utah victims, but destroy their trusting nature as well.’ A joint investigation with the FBI, the Utah Division of Securities and the Utah attorney general’s office found that 46 people had lost more than $1.7 million as a result of Anderson’s actions, the release says. More than 10 victims, some in tears, addressed the court at the sentencing hearing, expressing a feeling of betrayal, according to the release. She misrepresented the business’ success to her investors, telling them she made returns of about 10 percent per year and never had a losing day trading, when she actually lost $300,000 trading between 2013 and 2015, according to the news release. Despite these losses, Anderson sent investors false account statements that purported to show gains, the release says. A search warrant for Anderson’s home was issued in July 2015, and during the search, she admitted to lying to investors, the news release says. By the time of the search warrant, Anderson claimed she only had about $40,000 of the original $1.7 million in investor funds remaining.” (“Utah woman sentenced gets prison for a second round of defrauding investors,” Salt Lake Tribune, May 24, 2016) . 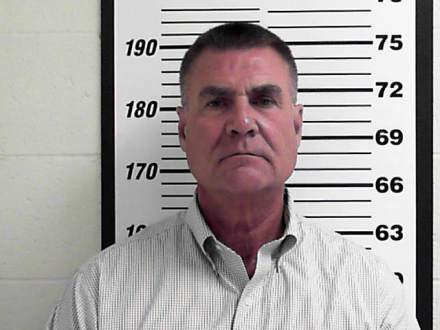 Chad Roger Deucher: “A federal grand jury has indicted an Orem man for allegedly operating a Ponzi scheme that brought in about $28 million from 250 investors.. . . About 170 of the total investors lost about $16 million. . . Chad Roger Deucher, 43, allegedly promised returns of up to 22 percent–and monthly interest rates as high as 12 percent . .. to entice investors into his company . 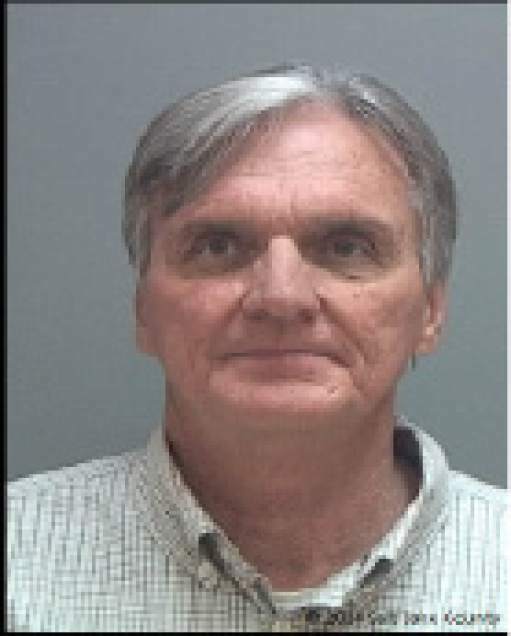 . . investing in buying and fixing up high quality properties that generated cash flow . . .He faces up to 20 years in prison and a fine of up to $5 million.” (“Utah man charged in alleged $28 million Ponzi scheme,” The Salt Lake Tribune, May 6, 2016). John Scott Clark: “Logan businessman John Scott Clark pleaded guilty and was sentenced to federal prison Thursday for defrauding investors of $1.84 million, his second guilty plea in a criminal case in a little over three years. … Clark was on supervised release on his prior conviction in a New York gambling case when he started the fraud scheme that landed him in court on Thursday (March 31). He pleaded guilty to securities fraud for telling 46 investors that he could make them returns of 15 percent to 15,000 percent by investing in foreign oil contracts tied to the Iraqi dinar currency. Instead, Clark spent all the money on personal expenses and did not make any of the promised investments. Shelby ordered Clark to repay the $1.84 million and said he must be supervised for three years after he leaves prison. … Clark told investors that he and a business partner “were members of a top secret U.S. military and government program and held special security clearances which enabled them to invest in the purchase and sale of Iraqi dinar and oil contracts,” according to a lawsuit filed Thursday by the Securities and Exchange Commission. He also boasted of ties to the president of Kuwait, the president of the International Monetary Fund, President Barack Obama and three former U.S. presidents. … Some of the investors in the Iraqi dinar case also were investors in his earlier Ponzi scheme, the SEC said. Clark also solicited members of his local church congregation, according to the complaint.” (“Utah businessman gets prison for defrauding people while on probation,” Salt Lake Tribune, March 31, 2016). Armand R. Franquelin: “A Weber County man has been sentenced to serve nearly five years in federal prison and ordered to pay $6.5 million in restitution to the people he defrauded in a scam that involved a Vernal real estate project. 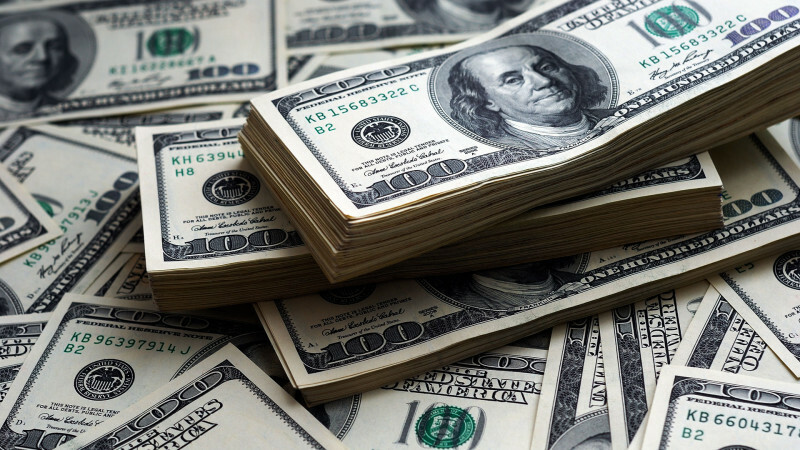 Armand R. Franquelin, of Liberty, was sentenced Wednesday in U.S. District Court to serve 57 months in federal prison for securities fraud and money laundering. Judge Dale Kimball also ordered Franquelin to make restitution to his victims and placed him on supervised release for three years after his prison sentence is complete. … Franquelin, 57, and Pool, 44, admitted that from 2006 to 2010 they convinced investors to convert traditional IRAs to self-directed IRA accounts and invest their funds in a residential real estate project in Vernal known as Haven Estates, according to court records. In return, investors were given notes promising monthly interest payments at annual rates between 8 percent and 20 percent, federal investigators said.” (“Utah man sentenced to federal prison for Vernal real estate scam,” Deseret News, October 2, 2014). Steven B. Heinz: “In the latest affinity-fraud scheme detected in Utah, an Orem man conducted a $4 million offering fraud and Ponzi scheme aimed at church associates, family members and friends, including senior citizens and the ‘recent widow of a church associate’ whom he volunteered to help with finances after she lost her husband. Heinz, 56, promised some investors that they would earn tax-free income if they provided a ‘loan’ to Heinz to invest for them. And Heinz has issued investment contracts to investors which guarantees returns ranging from 6% to 120% per year.” “Some of the money Heinz invested went into high-risk futures contracts that he rapidly traded, losing more $1.5 million since January of 2012, the SEC alleged. Another $1 million went toward personal expenses, which included paying for a vacation to Mexico for more than 20 family members and repaying a $600,000 loan taken out against a personal life insurance policy more than a decade ago, court documents say.” (“Federal regulators allege Orem man ran Ponzi scheme,” Salt Lake Tribune, August 12, 2013) In 2014 Heinz settled to repay more than $3.6 million back, which he said he would work to do. Now, mind you, the above is not a complete list. I could have added more. And if I were to go back further than three years, I would have many more from which to choose! “investors in Utah County may trust a little more than others may. “If you have someone in Utah County coming to their neighbors with tattoos and a bandana, asking them to participate” of course they will say no. It’s different if the person is in the same LDS ward, he said. Hines said often the perpetrator of the fraud will ask victims to “pray” about the investment. “People need to realize that God is not a good investment adviser,” he said. “Some of the largest successful corporations have been through affinity, through the church,” Hines said. Hines said it is always good business practice to research the investment to determine the risk. Upon some research, it may be determined the scheme is illegal, he said. There are no shortcuts to financial security. There are no get-rich-quick schemes that work. Perhaps none need the principle of balance in their lives more than those who are driven toward accumulating “things” in this world. Do not trust your money to others without a thorough evaluation of any proposed investment. Our people have lost far too much money by trusting their assets to others. The perpetrators of affinity fraud pray on groups with strong social ties, such as religious and ethnic communities. Usually, it involves a fraudster being, or pretending to be, a member of the group, and subsequently exploiting the trust of that community to run a Ponzi scheme. As Lisa Fairfax, a law professor at George Washington University, wrote, the scam is based on the premise that “You can trust me because I’m like you.” It works—well. For too many Mormons, feelings take precedence over evidence. Praying about the Book of Mormon and feeling God’s Spirit is a priority. And many Latter-day Saints are too willing to trust their leaders and fellow members for far too much, from their eternal souls to their hard-earned savings. God has given us minds for a reason. To the gullible come many consequences. Trusting people “just because” is a dangerous precedent. Instead, it must be understood that Satan prowls about and looks for those he may devour. Jesus said that false prophets would come as “wolves in sheep’s clothing.” Although Jesus didn’t say “financial shucksters,” it can be seen that much discernment is needed for everyday financial affairs as well.